Cologne - Shortly after Robben made his FC Bayern München bow in 2009, the German media came up with a nickname intending to describe the Dutch winger's striking partnership with his counterpart on the left Franck Ribery's: Robbery. Another chapter could be added to the pair's success story on Thursday should Robben succeed his partner in crime in becoming Europe's best player for 2013/14. Alongside club-mate Manuel Neuer and Real Madrid CF forward Cristiano Ronaldo, the flying Dutchman has been shortlisted for the UEFA Best Player in Europe award, with the winner to be decided in a live vote at the UEFA Champions League group stage draw in Monaco. 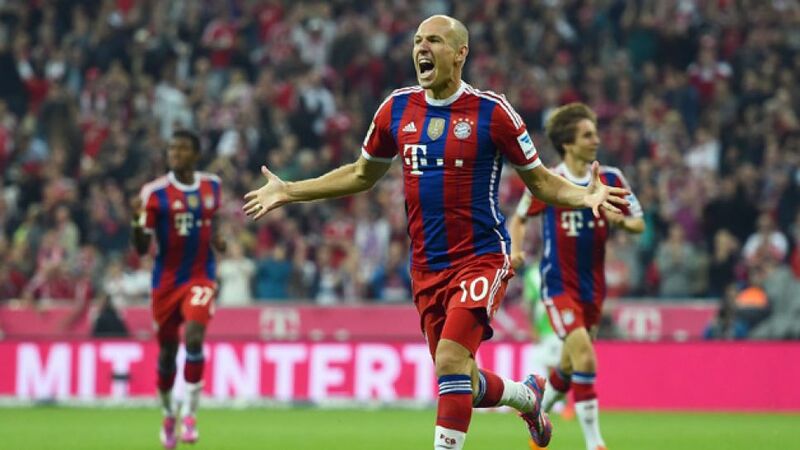 After finding his footballing home in Bavaria following stints with Premier League side Chelsea FC and Real Madrid, Robben has arguably managed to establish himself as Bayern's most consistent attacking player in recent seasons, despite being hampered by injuries for much of that time. Last season, however, he managed to steer clear of any major setbacks, laying the foundation for a standout campaign in which he found the net times 21 times for the German record champions in all competitions, contributing a further 17 assists as Bayern won the domestic double and reached the Champions League semi-finals. The 30-year-old was also able to maintain his outstanding form at the 2014 FIFA World Cup in Brazil, scoring three goals in the Netherlands' run to the last four, including a memorable brace in his country's 5-1 group stage victory over holders Spain. It was the third World Cup in which he had found the net, after scoring at South Africa in 2010 and Germany in 2006.